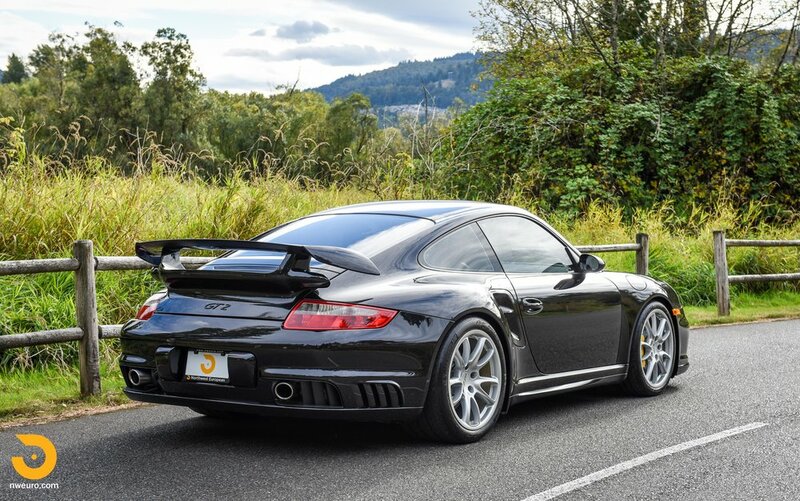 The GT2 was an incredibly focused product from Porsche in 2008. 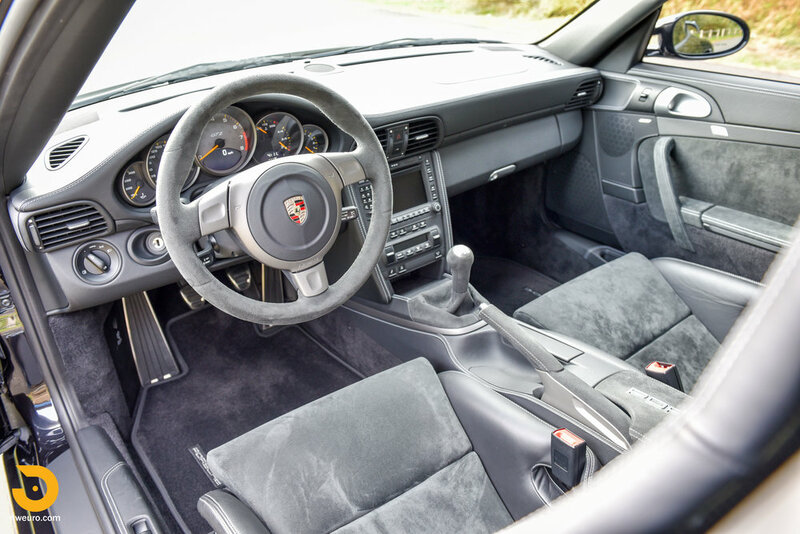 The previous 996 based GT2 had earned the old moniker “widowmaker” due to the snap oversteer it could exhibit at the limit. 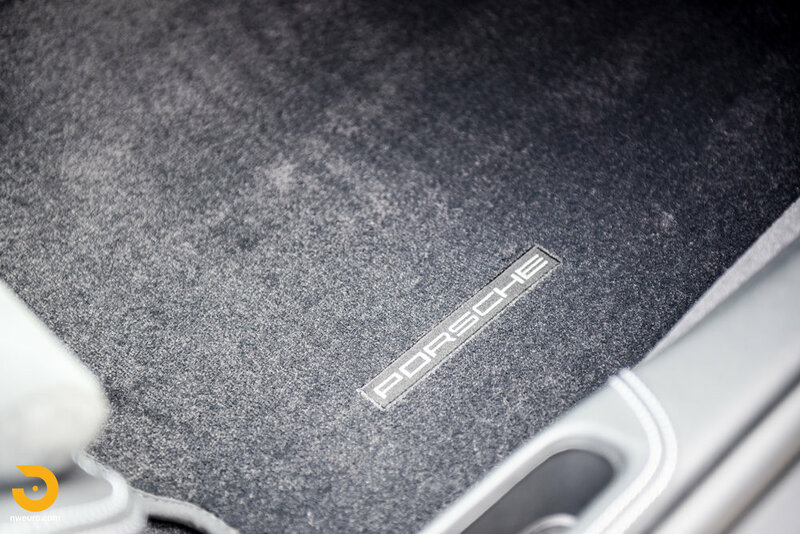 The 997 chassis eliminated this, plus added back in traction control and electronic stability (both defeatable). 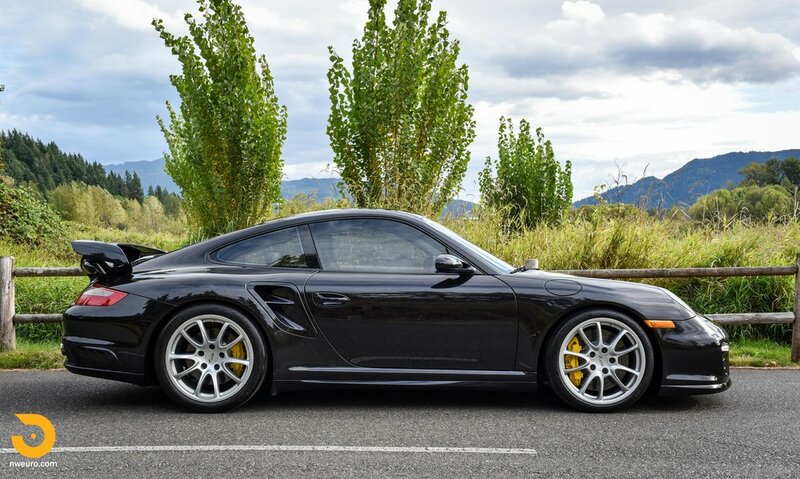 Featuring 530hp, the GT2 could reach 60mph in 3.6 seconds, and on to a top speed of 204mph. 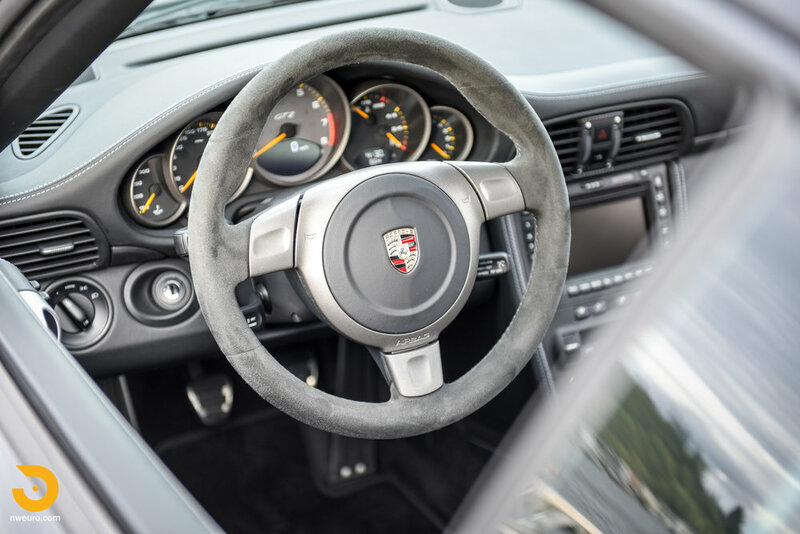 Porsche shaved 320 pounds of weight from the Turbo on which the car is based on. 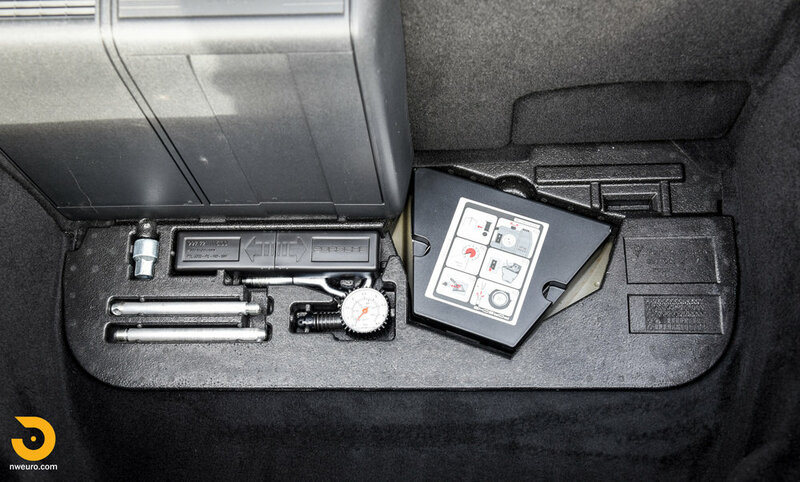 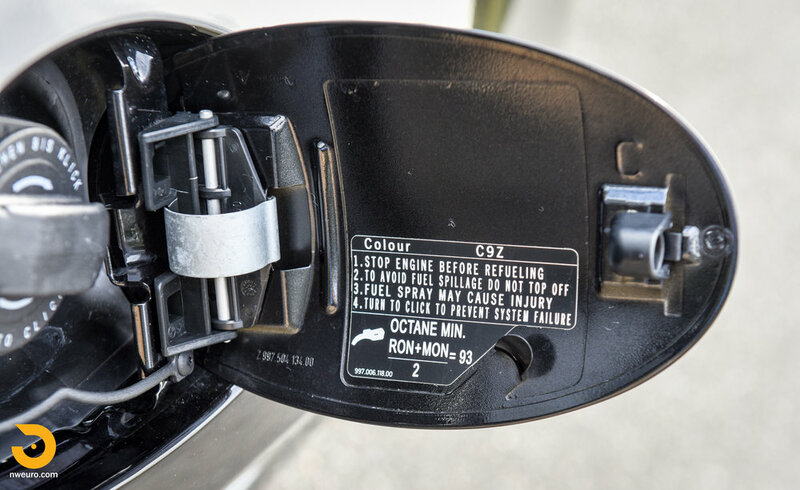 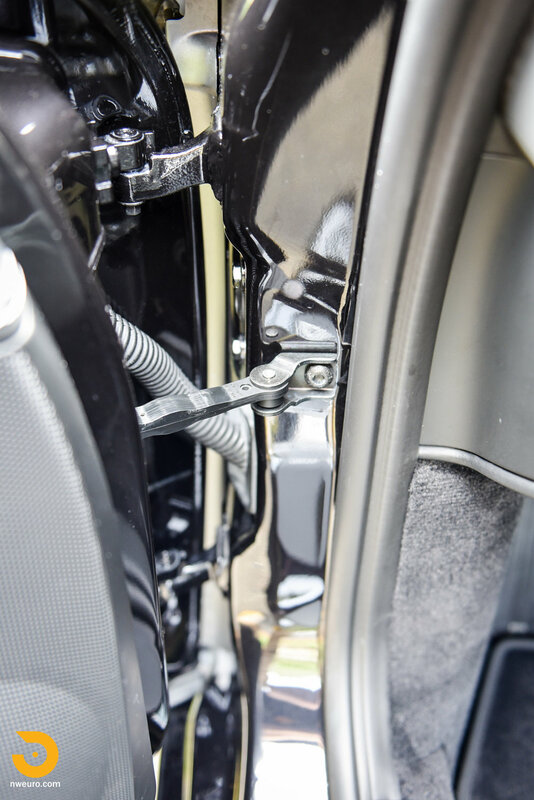 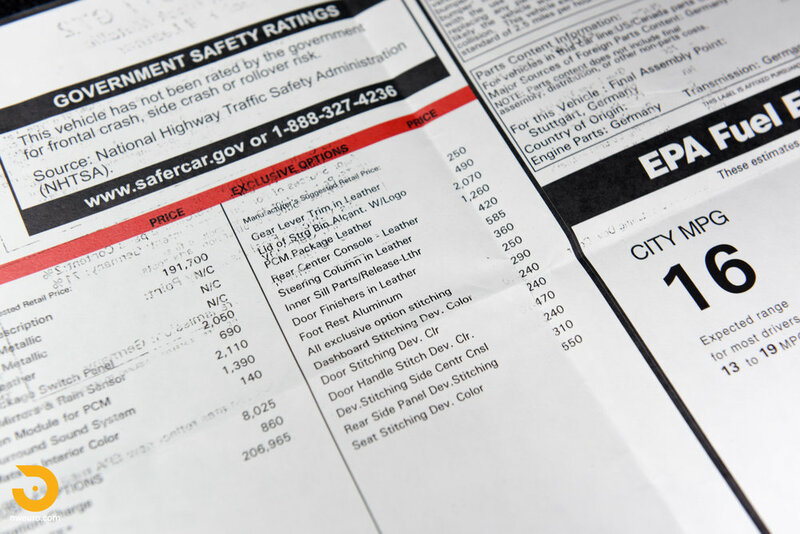 RWD only, limited insulation throughout, carbon fiber bucket seats, and carbon ceramic brakes with lighter aluminum hats all play a part in the weight savings program. 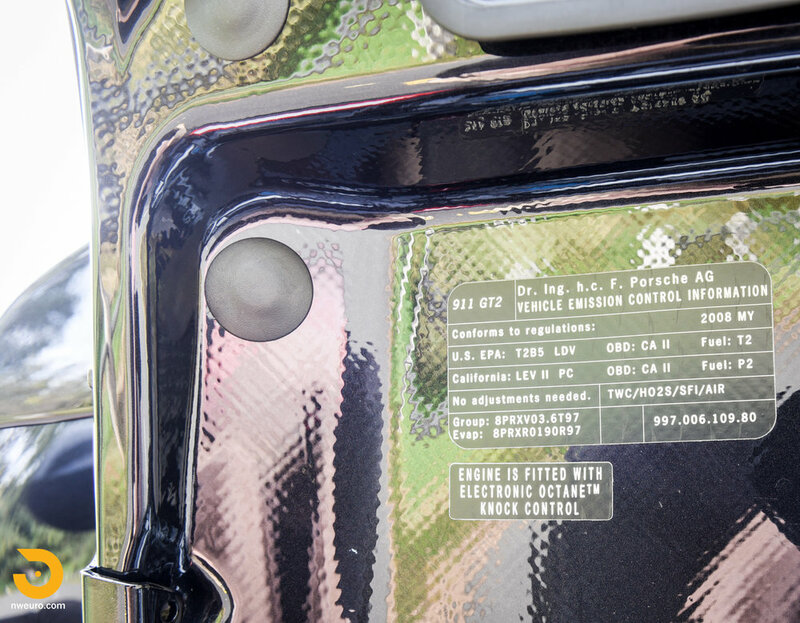 The final product comes in at 3,175 pounds. 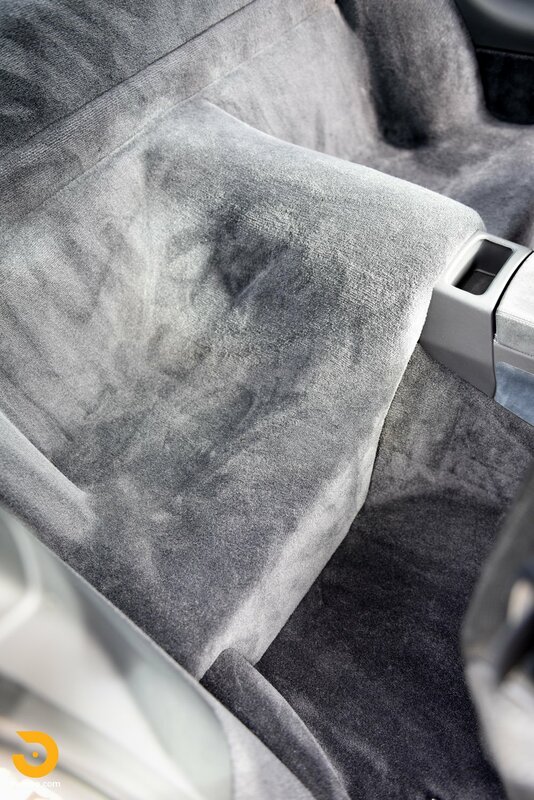 The cosmetic condition of this car is “like new” with the very low mileage. 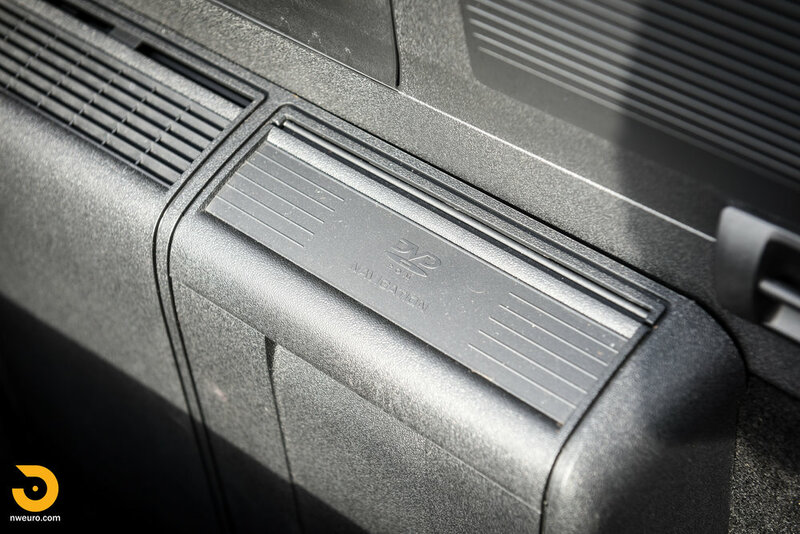 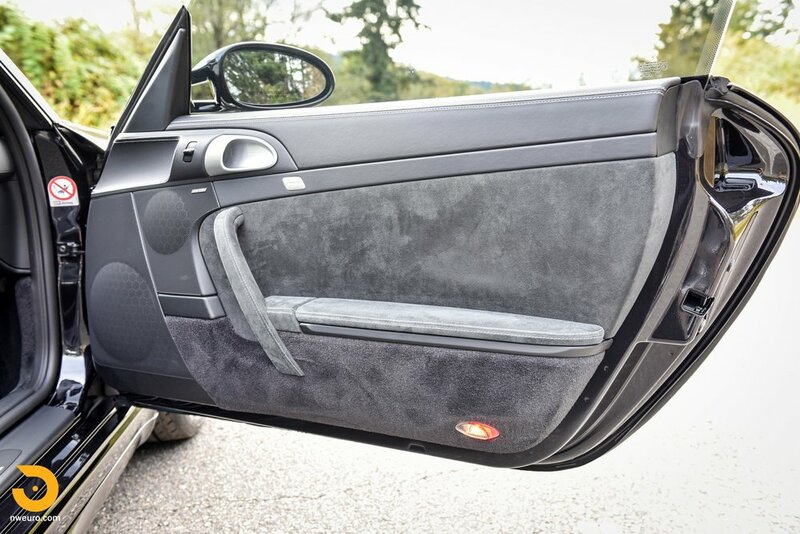 Original paint in Basalt Black Metallic on all panels, and the front of the car is wrapped from the A-pillars forward in clear paint protection film. 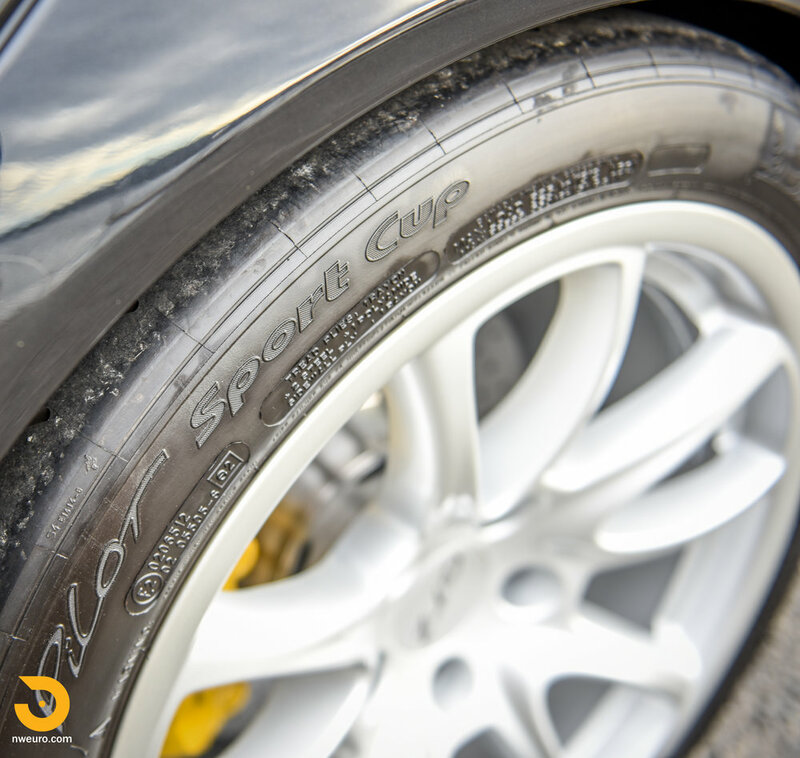 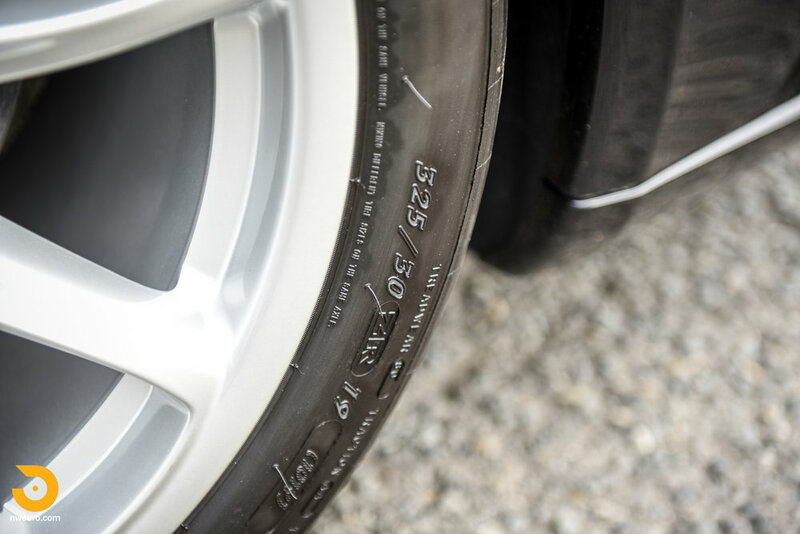 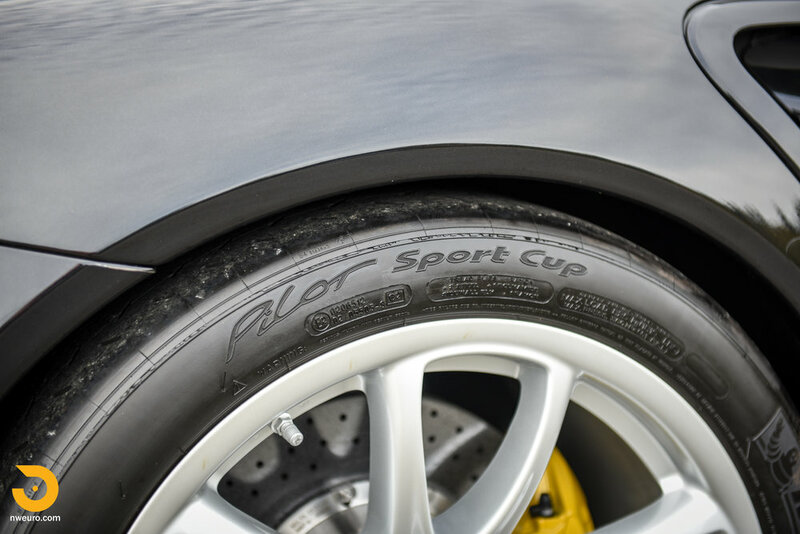 The stock GT2 wheels are in like new condition with no markings or rash, and there are no rock chips or signs of use anywhere on the exterior of the car. 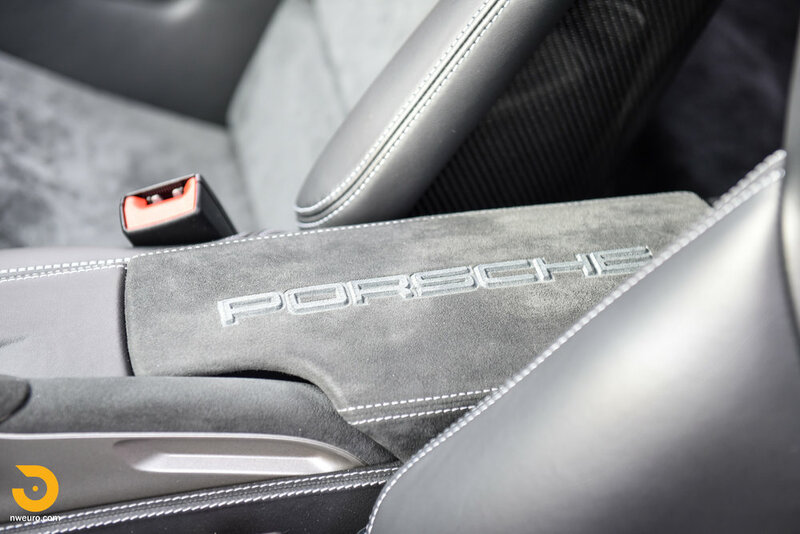 The interior is the same mint condition, featuring factory Sport Bucket seats in carbon fiber, and a host of Porsche Exclusive options from the factory – deviated stitching throughout, center armrest in alcantara, and black leather on most surfaces. 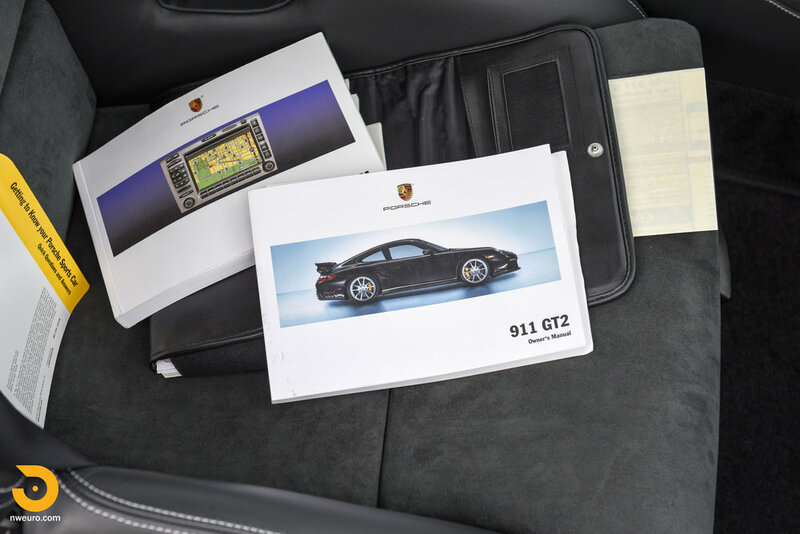 The car also has navigation and the BOSE sound system upgrades. 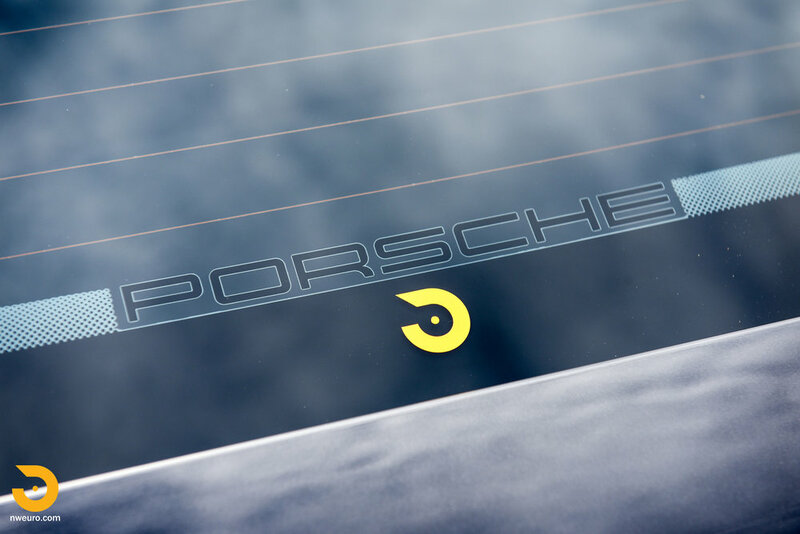 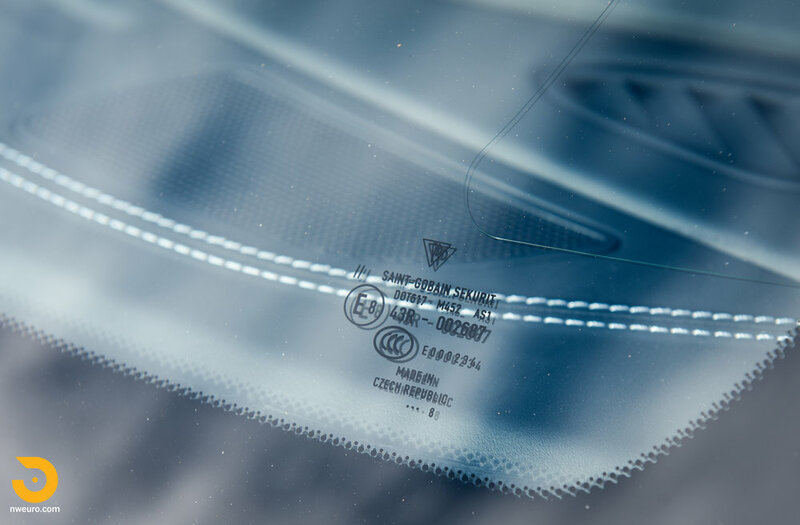 See the original window sticker for the full option list including Porsche Exclusive items. 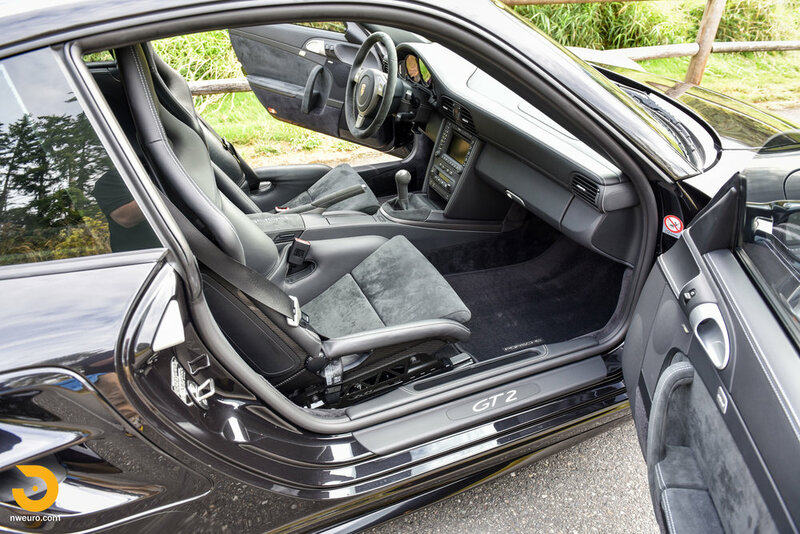 With less than 200 of these 997 chassis GT2s sold in the United States, you are guaranteed a seat at an exclusive table. 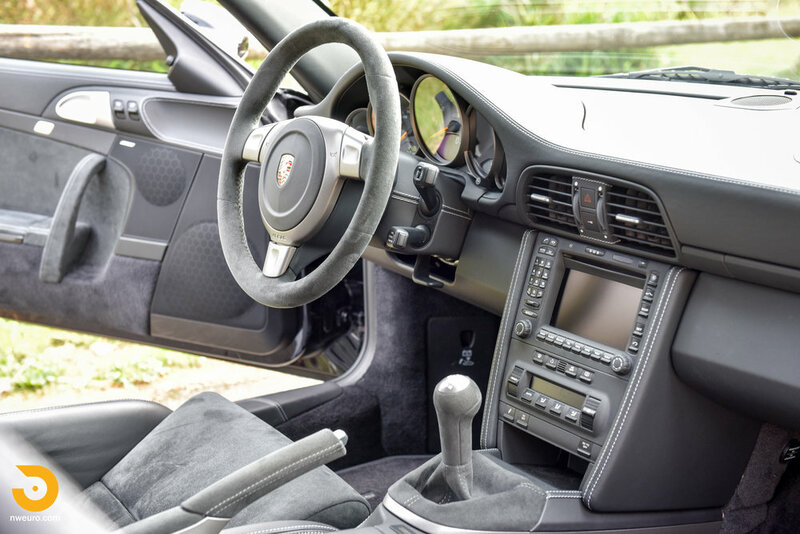 This two-owner Porsche GT2 is currently showing a touch over 2,400 miles and is ready to be added to any collection in the world. 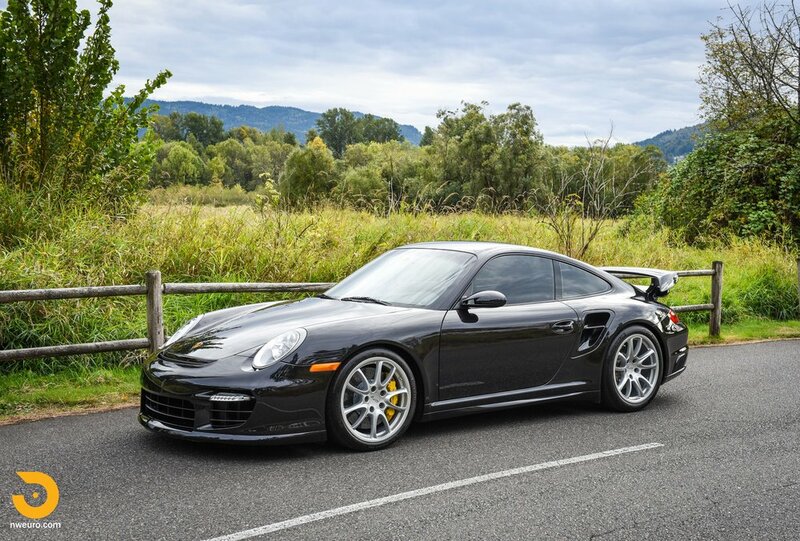 Or channel your inner Walter Röhrl and see if you can lap the Nurburgring in less than 7 minutes 32 seconds as he did in a stock 2008 GT2 (on a public day!). 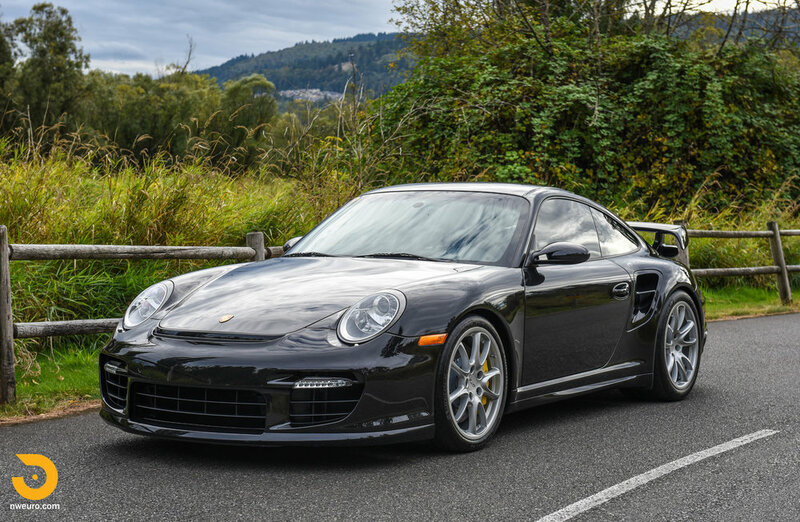 Offered with full service records, a recent annual oil service, original books, manuals, window sticker, two keys, and a clean CarFax, this GT2 is a collector’s dream with the low mileage and tasteful option list. 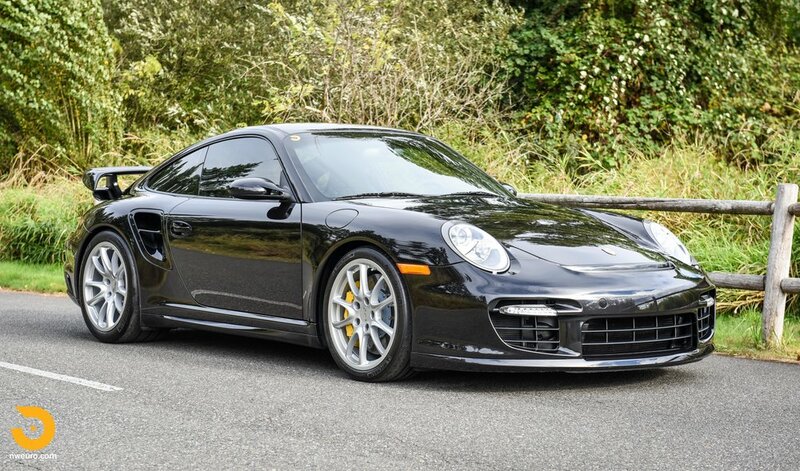 Please call Jason at 206-355-7727 for more information on this 2008 Porsche GT2 for sale.